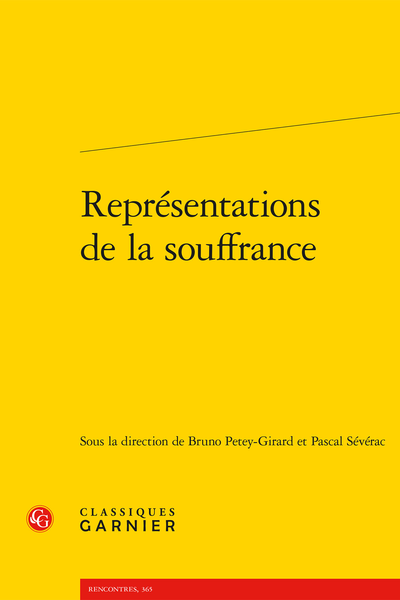 Abstract: The articles in this volume seek to understand suffering through its representations and emphasize the need to link up literary, philosophical, psychoanalytical, and medical discourses to define the social and moral fact that is the living and lived experience of suffering. Exprimer ou maîtriser la souffrance ? La lamentatio un discours sans art ?